Rentals at the Gold Run condos in Boulder Colorado, available for rent, leasing information for the Gold Run Condos in Boulder, Contact Housing Helpers to list your Gold Run Condo in Boulder for rent. 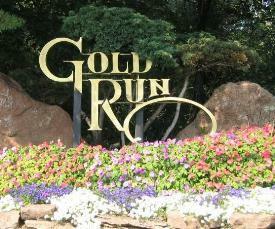 The Gold Run condos are located in central Boulder just one block from the University of Colorado, CU Boulder. Situated along the Boulder Creek Path and adjacent to Scott Carpenter Park, the Gold Run property is a surrounded by natural beauty and a peaceful setting. Gold run interior floorplans feature vaulted ceilings, fireplaces, full kitchens, and spacious living room and bedrooms. There are a variety of sizes to the floorplans at Gold Run with a majority of the condo units being one and two bedrooms. Most of the condos include a covered parking space or two in the parking garage located under the buildings. There is also an on site pool and fitness center available for residents to use year round. A popular location for CU Boulder students and visitors, many of the Gold Run condos are for rent or rented out on a yearly basis to CU students. The City of Boulder prohibits any rentals for less than a thirty day period so short term vacation rentals are not allowed at the Gold Run condos. A typical Gold Run rental lease will start in August and end in July of the following year. Several Boulder property management companies and rental leasing agencies in Boulder offer Gold Run rentals from time to time. Housing Helpers provides leasing for several Gold Run condos every year. 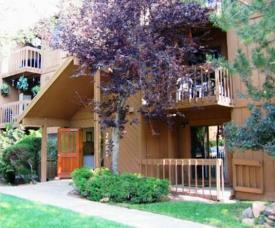 The following listings showcase recently available units for rent at the Gold Run Boulder condos. This entry was posted in Gold Run Condos and tagged cu boulder, Gold Run Condos For Rent on August 4, 2014 by John Iannone. By Stephanie Iannone at May 18, 2015 .